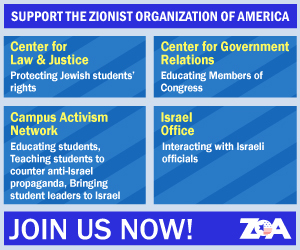 Zionist Organization of America (ZOA) condemned New York University (NYU) today for deciding to confer a President’s Service Award on NYU’s Students for Justice in Palestine (SJP) chapter, a group with a horrific record of harassing and intimidating Jewish and pro-Israel students. 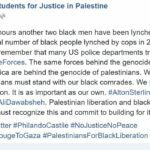 After SJP announced on Facebook that it had been selected to receive a presidential service award, the ZOA repeatedly reached out to NYU officials to confirm the truth of SJP’s announcement. Officials have not responded. President Hamilton should apologize to the community for the decision to reward SJP, rescind the decision and explain why: because anti-Semitism and other forms of bigotry won’t be tolerated at NYU, and groups like SJP – which promote hatred and bigotry – must be condemned, not rewarded. In April 2018, when NYU’s pro-Israel group organized a “Rave in the Park” celebration of Israel’s 70th birthday in Washington Square Park, SJP tried to shut it down, encouraging passersby to file a noise complaint. At the celebration, SJP members and their allies wiped their feet and stomped on an Israeli flag. One SJP member set an Israeli flag on fire. Another was filmed grabbing the arm of a pro-Israel student who was singing “Hatikvah” – Israel’s national anthem – and forcibly seizing the microphone from the pro-Israel student before shouting, “Free Palestine, end the occupation.” The pro-Israel student reportedly suffered injuries. 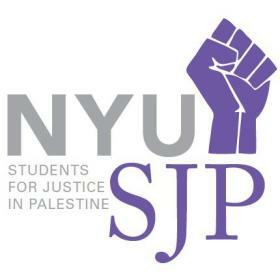 Also in April 2018, SJP and its allies assembled over 50 other student groups to join them in an anti-Israel boycott, which included a pledge to boycott NYU’s pro-Israel student clubs. Again, SJP’s aim was crystal clear: to silence Jewish and pro-Israel students who otherwise risked being shunned and ostracized on campus. SJP initiated and fought for an anti-Israel boycott resolution that NYU’s student government passed in December 2018, breeding a threatening, hateful and anti-Semitic environment. Days after the BDS resolution passed, NYU’s Bronfman Center for Jewish Student Life alerted the community to “several public online postings by an NYU student which were antisemitic in nature and potentially threatening.” The center was closed temporarily with plans to enhance security. NYU President Andrew Hamilton has made it clear that boycotting Israel is “contrary to” NYU’s “core principles of academic freedom” and “antithetical to the free exchange of ideas.” Given SJP’s pro-BDS and other hateful and divisive actions, it is incomprehensible and appalling that President Hamilton would deem SJP deserving of a President’s Service Award. 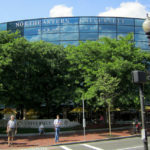 Morton A. Klein, the ZOA’s National President, and Susan B. Tuchman, Esq., director of the ZOA’s Center for Law and Justice, called on NYU to rescind its decision to confer the award on SJP. “SJP’s hateful, anti-Semitic, and divisive actions are the exact opposite of what this award is supposed to recognize. President Hamilton should apologize to the community for the decision to reward SJP, rescind the decision and explain why: because anti-Semitism and other forms of bigotry won’t be tolerated at NYU, and groups like SJP – which promote hatred and bigotry – must be condemned, not rewarded.